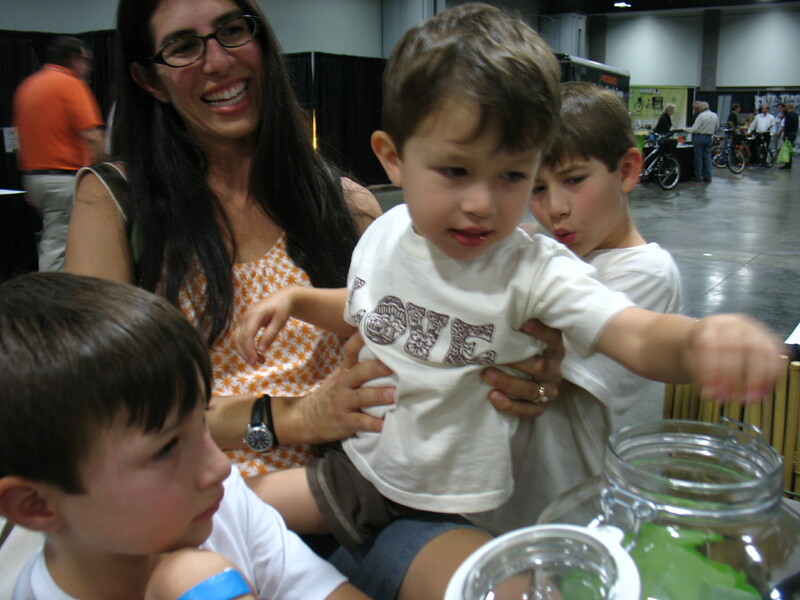 We were nervous about our weekend plan to spend two days trapped inside an enormous box of a building (DC Convention Center) at Green Fest DC 2012. Not because we suffer from claustrophobia, but because we would have three kids in tow. Boys. All boys. Inside for hours on end. Not outside. Inside. With strangers, polite folk. Like any wizened, torture-avoiding mama, I planned to take the kids solo to other DC sites, so Scott could attend the work-sponsored event. 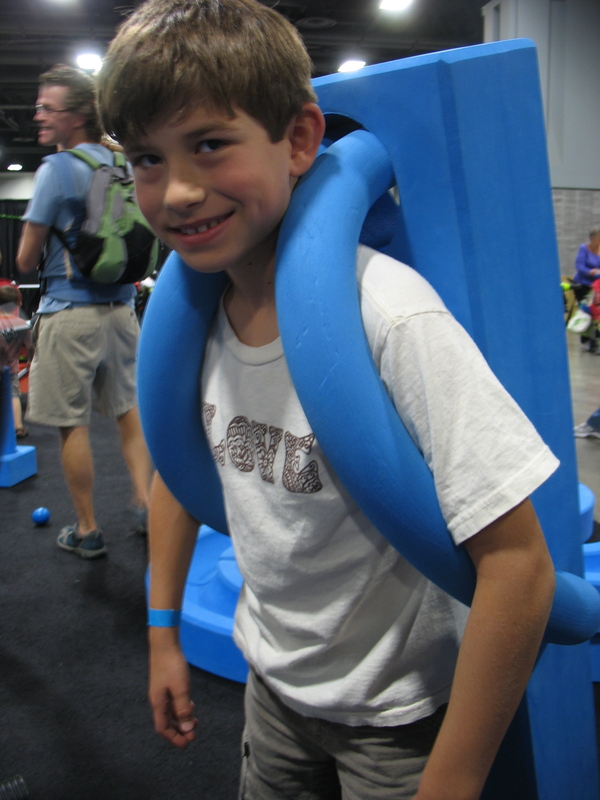 Scott insisted I take the first spin around the exhibit hall before taking over with the kids. They shadowed me, but I relished the time to take in the vast array of exhibitors without counting kids every minute. Before I had covered even a fifth of the gigantic hall, the boys were in love. 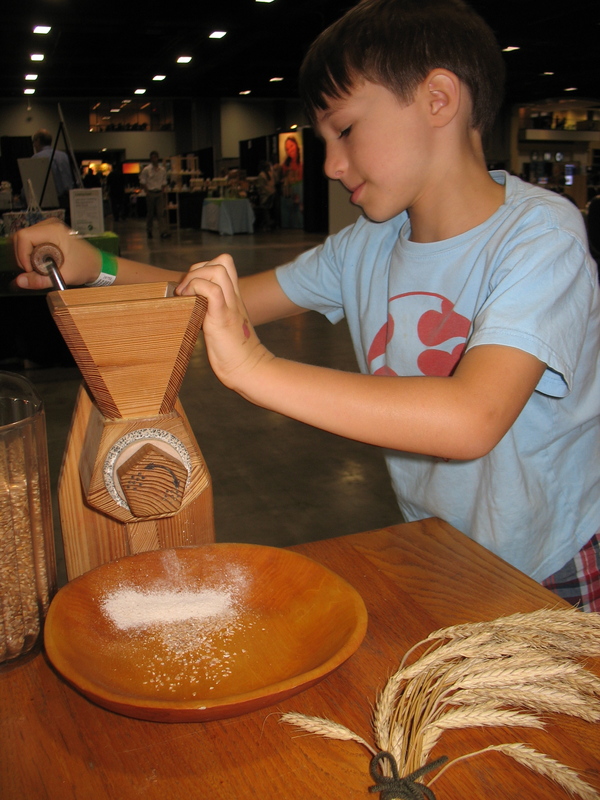 They patiently took turns grinding wheat berries at a Waldorf booth before finding the green-wheels exhibitors. 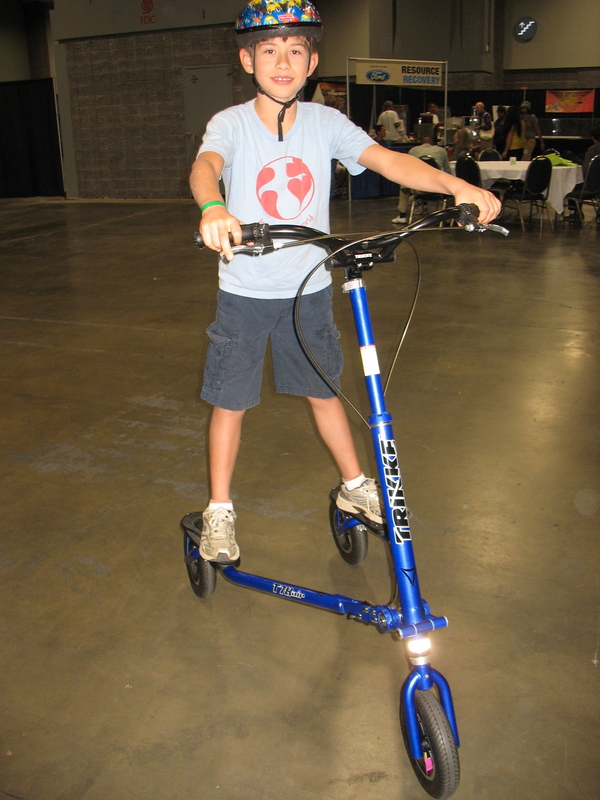 Zooming around on three-wheeled trikes and balance bikes, our three boys were in heaven. The hours flew, while we visited hundreds of exhibitors, educated ourselves on green initiatives, listened to speakers share green successes, discovered old and new green products, and explored the kids’ section. * Building with big foam blocks provided by the National Children’s Museum. Clean-up with the staff at the end was just as fun! 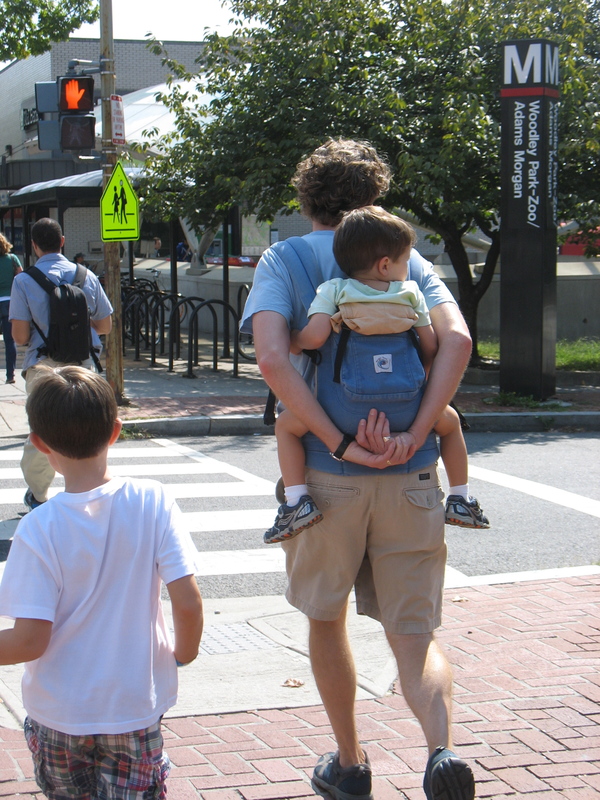 * Taking a break from car transportation to enjoy riding the metro and walking long blocks to great restaurants like Busboys & Poets and a family favorite: the National Zoo. * Developing a more global perspective on the need for sustainable living and on the positive impact our choices make as world citizens: While designed to be decidedly local in many ways–featuring local green leaders and businesses–the Green Festival offered a glimpse into the way our green decisions benefit others around the world. For example, our kids saw pictures of the families they supported by purchasing a fair trade, handmade toy from Guatemala–a far cry more meaningful than any Toys -R-Us purchase could ever hope to be. Verdict: Go to a green festival near you! We have supported our local Veg Fest in the past, which gives a bit of the same flavor, but this festival gave a much broader exposure, from the content to the attendees, which our kids wholeheartedly soaked up! They came away jazzed up about being green, with new ideas and energy about how we can make a difference in our family, our business, and our community. The chance to boost our older two boys’ passion on global warming and so much more was well worth the risk of a toddler meltdown among thousands (which thankfully never materialized). 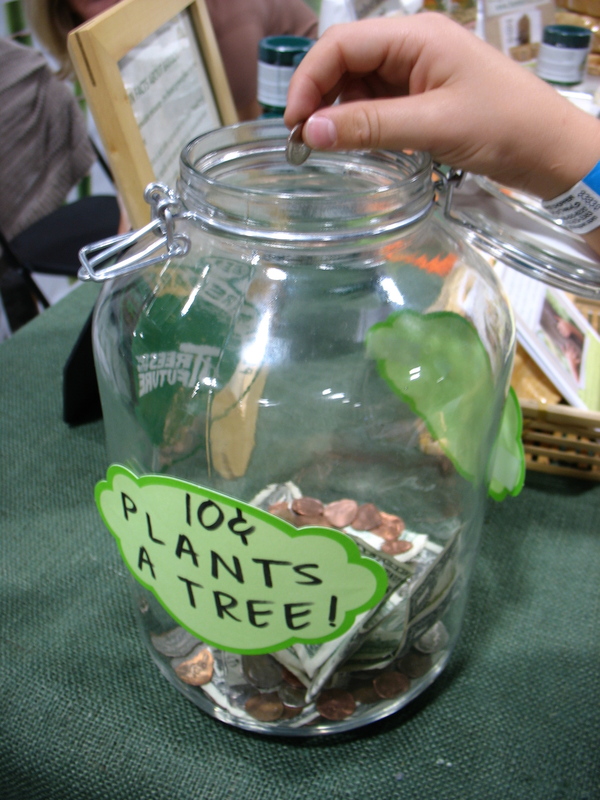 What are some things you have done with your kids to help them see the bigger picture on green issues? Categories: Have Fun, Sustainability, World Citizenship | Tags: children, Green Festival, green living, Metro, National Children's Museum, Sustainability | Permalink.